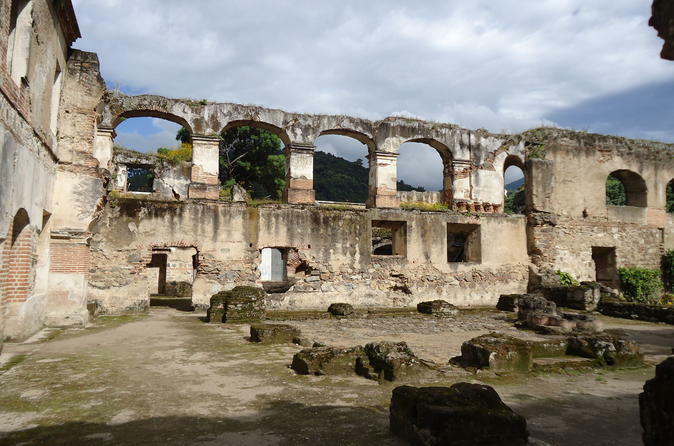 Be picked up from your Guatemala city hotel to be transfered to the city known for many as the colonial jewel of the Americas today called Antigua. After a 1 hour drive with profesional driver, Enjoy the beauty, historical past and active present by being part of a cultural walk and appreciate the city’s monuments considered highlights. Explore sites like Casa Santo Domingo Hotel, Restaurant and Cultural Center, the Mayan Jade Museum and Factory, San Francisco Church, the Central Plaza with sourounding monuments like General Captains Palace, Cathedral Ruins and why not the Old Jail in the Ayuntamiento today’s City Hall, Return to Guatemala City in between 6 or 7 PM.